James is himself a successful small business owner in St. Louis, so he knows first-hand the valuable contribution that a small business can have to a community and its economy. He knows that with the right counsel, the law can be a tool to help businesses achieve their goals of survival, growth and ultimately prosper. While most businesses only consult with attorneys in the wake of a pending lawsuit or emergent business issue, James works with his clients from the onset of the relationship taking time to meet and understand both the people and the business. His goal is to become a counselor and asset to the company. As a member of the firm’s Commercial Litigation Practice Group, James represents businesses of all sizes in legal and equitable matters. Most frequently, these matters involve contractual disputes, struggles over corporate control, real estate, insurance coverage, intellectual property, as well as TRO and injunction issues. James serves as outside general counsel to businesses large and small across Missouri and Southern Illinois. 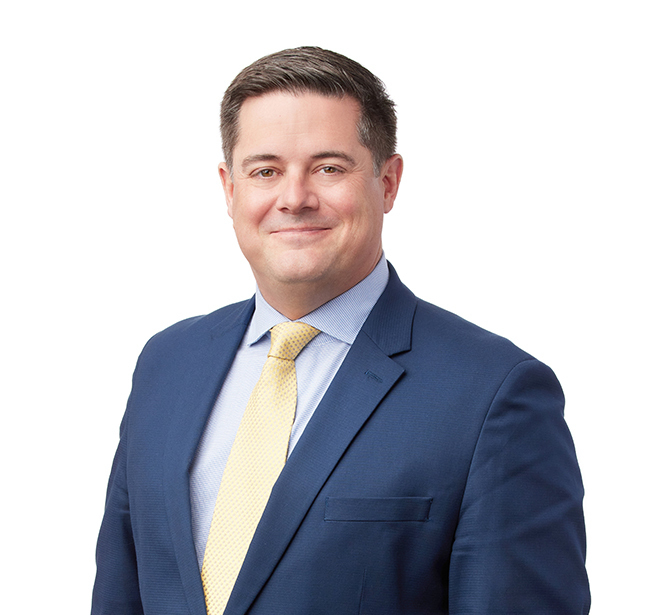 He works closely with executive leadership to become a part of the team, coordinating all legal needs across corporate, transactional, litigation, employment, intellectual property, real estate and other disciplines. His clients include craft breweries; beer, wine and alcohol distributors and wholesalers; real estate developers; startup businesses; high net worth individuals and families; and manufacturers to name a few. Specific to the beverage industry, James provides general project evaluation services and business counsel for startup craft breweries, wineries and distilleries. He handles the entire legal process of starting and growing a business in the beverage industry including: handling federal, state and local application and licensing, real property and site evaluation and negotiation, intellectual property protection, and strategic business guidance. James’s industry clients include manufacturers, wholesalers, distributors and retailers who transact business across the country. Finally, James provides counsel to businesses on what is often one of the biggest influencers on the bottom line – real estate. He regularly handles property assemblage and acquisition, tax and governmental incentives for property redevelopment, community improvement district (CID) formation, LLC formation and governance, project modeling and evaluation for general and limited partners, development and redevelopment, post-development and sales, and the sale of property and/or unwinding in tax incentive developments.